WHAT CAN YOU DO WHEN YOU READ OR SEE HATE SPEECH ON YOUR SCREEN? The Internet is full of hateful content, inciting people to hatred and at times causing hate crimes and violence. Sometimes we do not even recognise this hate speech because it may be found subtly within a comment from someone we know, or masked by a joke which is said to be `harmless`or through an image which may appear comical to some. And at other times, this hate speech is much more obvious, for example the way some journalists and social media users have spoken about the recent flow of refugees or the terrorists attacks that have taken place recently in Europe and beyond. These events have created an atmosphere where aspects of religion and nationality may serve as characteristics which are used to categorise whether you are considered good or bad. This hate takes root in the uncertain times we live in and stems from this fear of what is deemed different or unknown. How can we challenge and resist this? What is necessary is for you to react to hateful and not to be bystanders to the victims of hate speech. If you feel safe to do so, try to comment, question or challenge the author of hateful content, and try to provide counter arguments. You can also report and flag hateful content on social media portals such as Facebook or Youtube, or report to the national network partners of Safer Internet. In our Hate Speech Watch you can also help us to collect hate speech cases as a sign of solidarity and resistance. We ask you to be active and combat hate speech, even it may seem that the easiest option is to ignore and turn away. Invite your friends to react to hate speech as well. Social media service providers such as Facebook, Twitter, Youtube/Google etc. and the No Hate Speech Movement will be thankful for you doing so, in making the Internet a safer place. Remember, there is no review of hate content without a report! You can also use our hashtag #inmyname and involve your friends to join our action and help to become a conscious Internet user! We would like to call on you to check users you follow on Facebook, on Twitter and any other content you follow online with sensitive eyes. 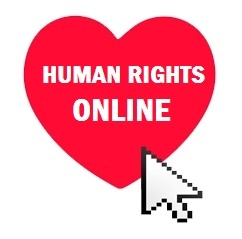 Be a defender of human rights online, don`t be a bystander. The International Human Rights Day on 10th December is important for supporters of the No Hate Speech Movement to show that we do not tolerate hate speech online, and that we want to make the Internet a happier place for all. Join us, join our European Action Day!